MT. PLEASANT, S.C.--(BUSINESS WIRE)--Nov. 27, 2017-- Regency Centers Corporation (“Regency” or the “Company”), a national owner, operator, and developer of grocery-anchored shopping centers has acquired 8-acres of prime retail land in Mt. Pleasant, S.C. for the development of a 51,000 square-foot retail project anchored by GreenWise Market, a Publix Super Markets concept. Indigo Square is located in the heart of the retail shopping district of Mt. Pleasant along US-17 between I-526 and the Isle of Palms Connector. These highly trafficked arteries provide easy access to Mt. Pleasant, Daniel Island, Sullivan’s Island, Isle of Palms, and the Charleston Peninsula. The site is surrounded by some of the strongest demographics in the Charleston area and is bolstered by powerful tourism retail expenditures. Indigo Square will be the second newly redesigned GreenWise Market in the southeast. Both the opening date and additional details related to the new GreenWise Market will be announced closer to the store opening. Indigo Square was purchased from Johnson Development Group and is the retail component of a master development that includes 456 premier multi-family units branded as The Haven and Indigo Square, a Cube Smart self-storage facility and a Home2Suites select service hotel. The Haven at Indigo Square, Cube Smart and Home2Suites are already open and operating. 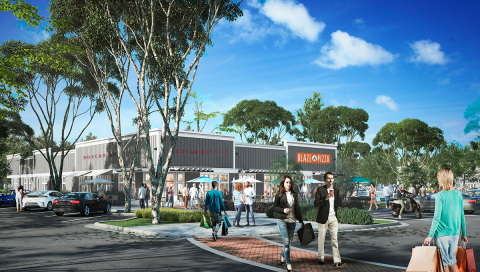 Regency’s retail project is scheduled to open in the fourth quarter of 2018.